A semi-new 3rd party home replacement called Vire Launcher is making the rounds today because it offers some pretty fantastic UI and lighting effects that we have yet to see from another app in this category. While it may not be the most feature-packed launchers of all time, it’s definitely one to keep an eye on, as the company behind it (Vire Labs) has more on the way. What’s unique about Vire Launcher are the real-time lighting effects you get throughout, buttery smooth 3D transitions with incredible animations, an automatic theming engine, and an interactive widget that we hope other widget makers can learn from. It’s pretty bare bones other than those items, though, but we get the feeling that was sort of the point. Vire Launcher wasn’t created to be Nova or Apex with support for theme packs, grid sizing, screen locking, and that kind of jazz. The point of the app is to show off the technology that Vire Labs has created that was built for multi-core support and load-balancing. To me, that means it should be slippery smooth, which it is. They have plans to release other launchers or apps in the future, so if anything, take a look at this app just to get a feel for what they are capable of. Or better yet, take a look so that your eyes can feast upon mounds of eye candy. It likely won’t be your daily driver as you’ll notice things like drag-and-drop folders are non-existent, as are many of the core Android home screen features. 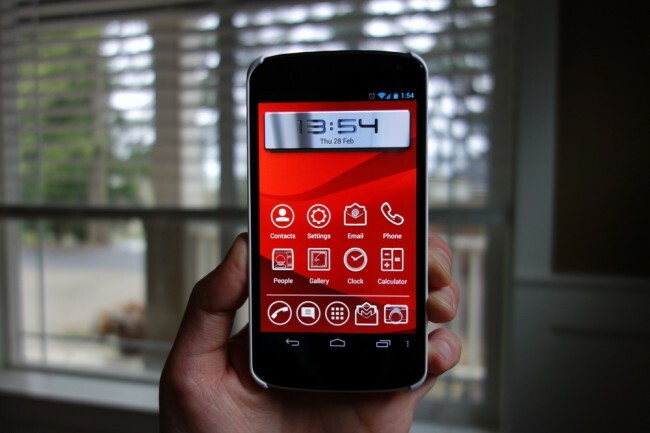 We're Now Taking ROM Submissions for Custom ROM Friday!